I’m already sold on the upcoming Mailbox iOS app. I watched the teaser video, read up on what it does, and I’m ready to use it. I’ve been happily using Gmail for iOS since it launched, but I may have found a reason to try something new—something better. Unfortunately, the initial demand right now is off the charts, so the company is only accepting reservations in the run up to launch. I’m in line, somewhere, confirmed. Once the app is officially made available—the company is shooting for a few weeks—not everyone will have access right away. Like I said, demand is huge. So what’s the big deal? Mailbox wants to make email delivery as fast and secure as possible, from the cloud pushed right to your device. 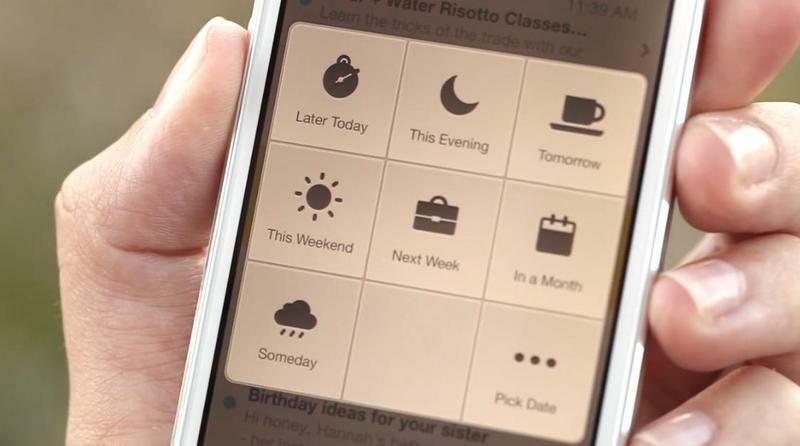 But what’s really interesting is the way Mailbox is designed. Probably the most exciting feature is being able to snooze email: for later today, tomorrow, this weekend or some other day. This will make getting your inbox down to zero so much easier. Mailbox is, for now, going to be offered for free when it launches, with the possibility that the developer will add premium features over time; one option might be a fee to add more than one email account. When it does launch, Mailbox will only work with Gmail/Google accounts right off of the bat, but that should cover more than enough users. We reached out to the company to see if we could get early access, so hopefully we can bring you a hands-on relatively soon. We’re excited to try it out, if only to snooze those pesky emails we need to deal with but want to put off until later.